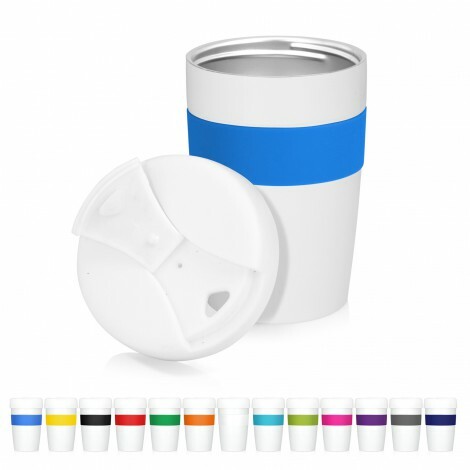 With the disposal of environmentally harmful plastic cups in today's society, nothing reflects awareness and sustainability in a business more than promotional, stainless steel coffee cups. 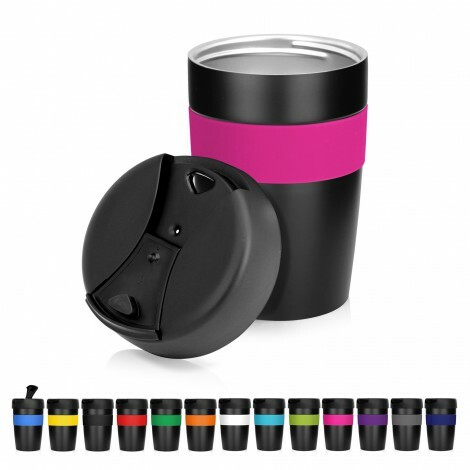 Presenting, our new double walled, stainless steel Cup 2 Go which sports a stylish design with screw-top lid (with flip-top to prevent annoying splashes) and silicone band! 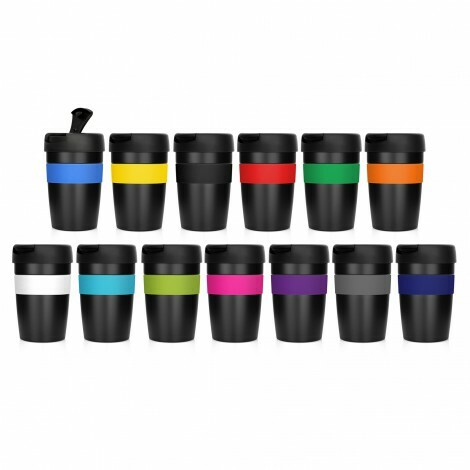 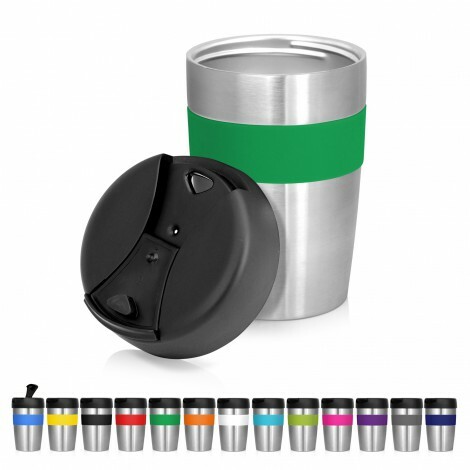 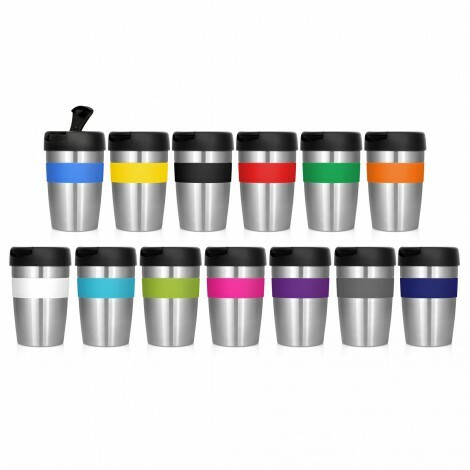 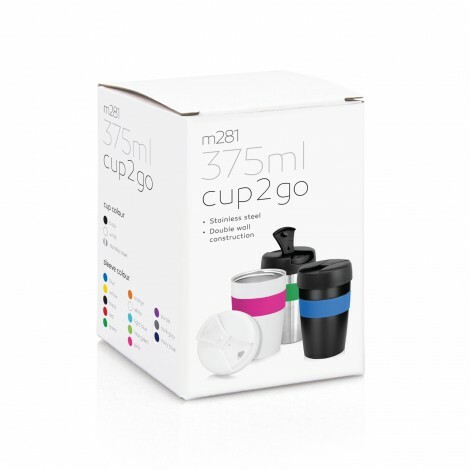 This promotional stainless coffee cup is the perfect gift for the ecologically aware and practical minded customer. 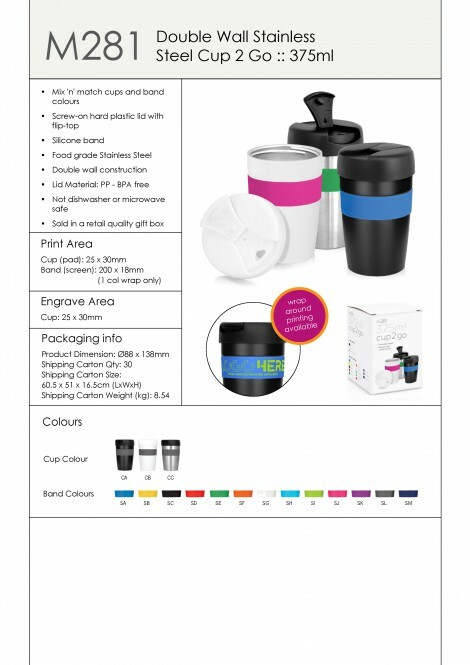 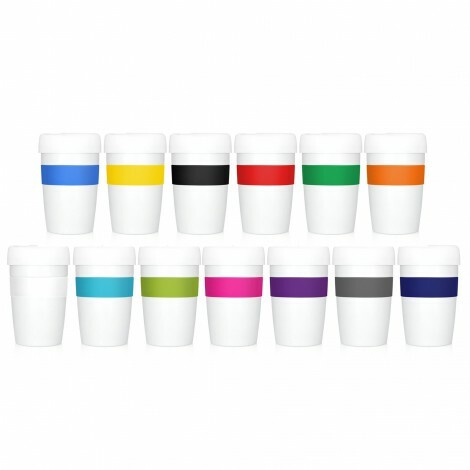 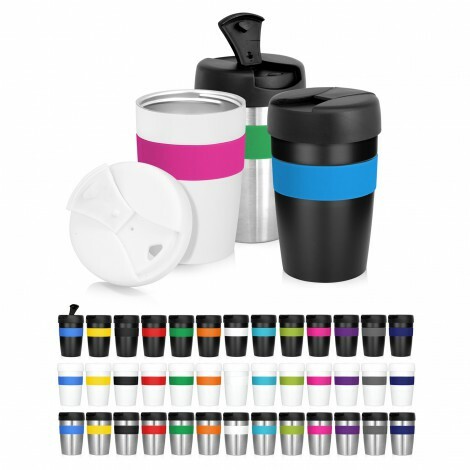 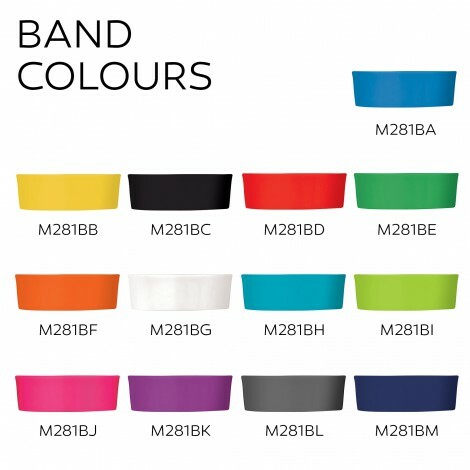 The Double Wall Stainless Steel Cup 2 Go cups and bands are available in a wide variety of colours so you can mix 'n' match according to your client's business colours.